I hate crickets! They’ve got to be the most disgusting looking creatures on the planet! Well, I guess a roach might be a close second. Some of you might disagree and throw the dreaded spider in the mix. Whatever came to your mind, you know exactly what I mean, or do you? That’s the kind of thinking you’ll have to do if you want your reader to experience what you’re describing. You can’t assume the reader knows what you’re talking about. You’ve got to put yourself in the reader’s shoes and look at the event or subject from the view of an outsider. Use your five senses. 1. What do you see as you look around? Are other people in the scene? What are they wearing? What colors stand out? Are their hairstyles unique? What facial expressions are noticeable? What are they doing?What time of day is it? Dawn or dusk? What does the sky look like? Where is the sun or if it’s night, how does the moon look? 2. What do you hear? Is a train passing by? Are birds singing? Can you hear someone snoring while sleeping or panting after a race? Is a clock ticking in the background? 3. What do you smell? Is someone frying chicken or do you smell liver and onions? Are hyacinths in the air? What about the perfume someone is wearing? 4. What do you feel? Is the carpet smooth under your feet? Is there grit in your shoes? Is the silk blouse smooth against your skin? 5. What do you taste? Is there an after taste from the Diet Coke you just drank? Is your mouth dry after running that marathon? Can you taste victory or defeat? You don’t want to overload your story with a mountain of details about the setting, but you do want to help your reader experience the event. Using your five senses will work magic for your reader! Practice, practice, practice! Take a few minutes, sit, look around, and write. It’s been said that a picture is worth a thousand words. I’m not sure about that! I’d rather paint a picture with words. Go ahead! Invite your reader to dine with you! By the way, what’s for dinner? Writing about Your Life: Get Out Your Balloon! I’m sure you recognize these very common dream busters. No doubt one or more of these comments sounds like you. If you’re like me, you probably have a whirlwind of ideas floating around in your head. But how do you calm your fears and get your ideas down on paper so that they begin to make sense? The answer is easy….well, not exactly easy but manageable. You need to begin ordering your events or tracing your path from the beginning of your event(s) to the place where you have emptied out everything you need to say. You might be asking, “What does that mean?” Let’s take it one step at a time. First imagine yourself blowing up a balloon. 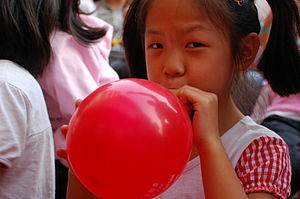 You begin placing your mouth on the lip of the balloon, trying to make a seal with your lips so you can begin blowing air into the balloon. Gradually you begin expelling air from your lungs directly into the balloon. You see the balloon begin to expand and get tighter. You watch it grow until you cannot get any more air into the balloon. You know you’ve got to stop or else the balloon will burst. Once the balloon is fully inflated, you have to make a decision. You can either tie a knot and put the balloon aside and admire it, or you can choose not to tie a knot and release the balloon. The air in the balloon will rush out, and the balloon will take a course of its own and dance around the room in a surprising pattern. Writing your book is pretty much like that. The color of your balloon will change from day-to-day. You will experience a range of emotions as you come out of your comfort zone and write from your heart. I must be completely honest. On some days it will seem like you have no air in your lungs to blow up your balloon. Where do you start? At the beginning. What’s in your heart? Probably more than you know. You just need to start writing. By this time, you’ve already done a lot of thinking about your book. Now it’s time to trace your path or follow the steps that take you from the beginning of your journey to the end, or where you plan to stop. There’s no right or wrong way to do this. Remember: Some writers focus on a single event and write an entire book about that event. It might be tragic event one summer and your reflections on that event today, or the loss of a loved one and how you coped with that loss, or a difficult divorce you walked through. Or like me, you may choose to cover a longer period of time over a number of years, all related to an earlier experience. Everything you need is inside, waiting to be released. Tracing your path is like making an outline. Oops! I said that dreaded word–outline. You don’t have to outline your book. In fact, don’t even think of a book. This is the path of your story. Make a list of all the steps you think you might want to include in your story. It’s okay to add steps and take out other steps later. Consider this process as an exciting journey! You’re on your way! Trust the God who sees all and knows all. He will help you! He is for you. He just wants you to cooperate with His wonderful plans for you. Jer. 29:11 reads “For I know the plans I have for you, plans to prosper you and not to harm you, plans to give you hope and a future.” I held onto God’s promise as I wrote, and The Price of Pearls is the result.